A whooping 9,500 former and current employees of Asda have instructed law firm Leigh Day to represent them in an equal pay claim against Asda. According to the firm they have had in excess of 19,000 queries from current and former staff regarding the group action. This will be an extremely important case to watch. The outcome could have ramifications for retailers and many other industries. This is likely to be the largest equal pay claim that the private sector has ever seen. This week an employment tribunal ruled that the women in stores can compare themselves to higher paid men working in the distribution centres. The pay difference between those working in the stores and those working in the distribution centres can be as much as £4. If successful the claimants could be awarded up to 6 years back pay. Not surprisingly Asda has confirmed it will robustly defend the claims and that it does not discriminate. The claimants are arguing that they do very similar work to those in the distribution centres and so should get equal pay for equal work. Sources state that Asda will argue that the distribution centre work is more physical and often involves working outdoors. The decision this week was part of the technical legal argument as to whether the men in the warehouses can be used as a comparator. It is the first step in the legal class action and paves the way for the test cases to proceed on the substantive issue. Another tribunal must now consider if the jobs are of equal value. It looks like there is a long road ahead for the Walmart owned chain with potential awards of over £100 million being possible. Leigh Day is also representing 400 Sainsbury workers on similar matters. No doubt they will be watching this case closely. 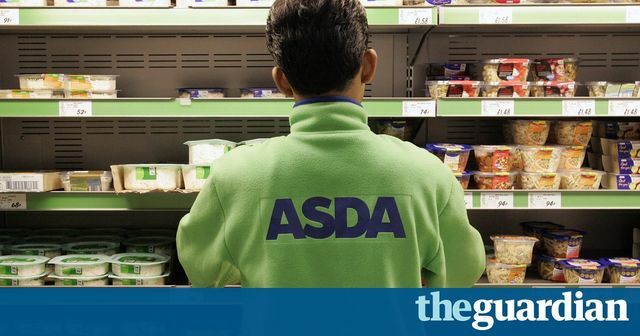 An employment tribunal ruled that the women, who work in roles across the shopfloor, can compare their jobs with those done for a higher wage in Asda’s warehouses, predominantly by men. If the women win, the retailer could be forced to adjust the pay of many of its 130,000 shopfloor staff, and make back payments to those involved in the case going back to 2002, at an estimated cost of up to £100m.